Hi! I am Lenny, born and raised in the Philippines. Before arriving to Qatar, I was a college teacher and a guidance counselor. My husband and I took a leap of faith, and moved to Qatar in 2014 for better opportunities. I am currently a human resources officer in one of the leading construction and engineering firms, and our current project is the construction of the Red Line South Underground Railway. What brought you to Qatar? How long have you been in the country? I have been in Qatar for two years. We landed in Qatar with only our carry-on luggage and tons of dreams. What made us push through our plans was our financial situation back then. But we had big dreams and we wanted to fulfill them by finding opportunities abroad. What is the process to move to Qatar? My experience is different from the standard moving and employment practices in Qatar. Ideally, you will be hired by a company and they will take care of your work permit and all the residency proceedings, but my husband and I took a risk when we travelled to Qatar on a 30-day tourist visa. We were determined to build our careers in Qatar, but we knew it wouldn’t be easy. With hard work, persistence, dedication, and prayer, I was luckily hired on the 6th day of our arrival and my husband on the 14th day. What is your favorite thing about Qatar, and what is your least favorite thing? What I like the most is that I can now cover our needs and help our families. I am also more productive in Qatar, and, aside from work, I can spend quality time with my husband and also focus on my blog. In addition, Qatar has a good healthcare and security system, a lot of hidden gems, and great industrial or natural spots for sightseeing. Working abroad means you’ll get separated from your friends and family. This is the saddest part in my expat life. Although social media gives us ways to communicate, the contentment when you embrace your beloved ones is second to none. How would you describe Qatar in one sentence? Qatar is a not just a sand pit but also a green meadow. What has surprised you the most about Qatar? I imagined Qatar as a boring and plain country. I never thought that I will be promoting Qatar through my blog as a safe, rich, and historic country with lots of hidden gems to discover. What are the features of today’s expat job market in Qatar? Despite the headlines about the sudden decrease in Qatar’s oil prices, as an HR professional I can say that there are definitely new job opportunities with the operation of Qatar Rail and the Football Cup in 2022. How easy or difficult it is to find accommodation in Qatar, and what type of accommodation is available for expats? Accommodation in Qatar is in abundance, but prices, type of property and property features vary. For example, for a one-bedroom furnished apartment you should expect to pay around USD 1500 and for a three-bedroom apartment the price can go up to USD 2000. Of course, the prices also vary depending on the location, building age, and amenities. To rent in Qatar you must provide 12 post-dated cheques to your landlord. It’s not possible for expats to buy a property in Qatar unless it’s located in The Pearl Residence. What are the year’s biggest holidays in Qatar? Qatar is a Muslim country thus Ramadan is by far the biggest holy month for all people residing here (Muslim or Non-Muslim). During the Ramadan our working hours are shortened to six hours a day and it’s strictly prohibited to drink and eat in public places to show respect to all Muslims. At the end of Ramadan, a major celebration (Eid Ul Fitr) takes place for three days. Another celebration, Eid Al Adha (known as the Feast of Sacrifice) lasts up to four days that are also holidays. Qatar’s National Day or Founder’s day is celebrated on the 18th of December and Sport’s Day on the second Tuesday of February. How do you find the lifestyle in Qatar? Qatar is a safe country. I can move by taxi, and with technology I can order groceries online. Money matters a lot in Qatar. Here, you will find vast shopping malls, five-star hotels, and a wide variety of entertainment. There are also activities that don’t involve expenditure, such as family friendly parks. How is the transportation system in Qatar? How do you move around? There are lot of apps readily available if you need to book a car for transportation. The minimum cost of a taxi is 10QR. Buses are also available, but you should first get a bus card. Have you been able to adapt to the society? Yes, I can clearly say that I have adjusted to Qatar’s society (and even to Qatar’s weather!). How is the everyday life for you in Qatar? My everyday life in Qatar is fast! Workdays start on Sunday and end on Thursday. I have a regular day off on Fridays and Saturdays, and I spend my time on housekeeping and blogging. I work from 8am to 6pm with two hours given for lunch break. Usually, I will be at home by 6.30pm and will prepare dinner along with lunch for the next day. I spend the last hours of the day with my husband. I am lucky to have two days off compared to other expats here who usually get only Friday. That gives me more time for blogging, attending launch events, writing restaurant reviews, and going to the beauty salon on Saturdays, where I take my me-time. When I don’t go to events, I sit in a coffee shop and write all my pending blog posts. When I feel like doing nothing, I watch Korean dramas and TV series in bed (my luxurious time). Fridays are fully dedicated to my family. Are there activities for people who enjoy nightlife? There are a lot of night life scenes scattered all around Doha, such as beach parties in hotels. Nightlife in Doha is fun and safe. What new habits have you developed in Qatar? And what old habits have you quit? Qatar has taught me a lot of things. I learned how to set and arrange priorities in life, and manage my time and finances efficiently. Saving in a country where you are surrounded by comforts and materialism is a hard task. What is your opinion on the cost of living in Qatar? How much does a bus ticket, a beer, and a loaf of bread cost? Many expats say that the cost of living in Qatar is high, and I agree with it if we’re opting for a splendid way of living. Here are some of my latest purchases and how much they cost: 5 kgs of rice cost 24 QR, one tray of eggs costs 10 QR, one loaf of bread costs 4 QR, a bottle of shampoo costs 10 QR. My monthly expenses for food and house maintenance are 600 QAR for two people. What is something that you would like to do in Qatar, but haven’t had the opportunity to do yet? I want to visit the northern and southern parts of Qatar. I am currently in Doha (center). The northern part of Qatar has beautiful nature and sea-sights, but you need to travel by a 4×4 car. Share your most memorable experience in Qatar. Every time I tell the story about how I was able to build my career here in Qatar, I feel nostalgia. When we arrived here, I was prepared to work anywhere, even if the job didn’t match my qualification and skills, but I am grateful to have found my current company, and I am glad to say that the day I got hired is one of my most memorable experiences in Qatar. What do you think of the local cuisine? What are your favorite dishes? The local cuisine is the traditional Arab cuisine. I have tried some local dishes such as Kabsa, but my favorite is their dessert (Kunafa) and their hot milk tea (Shai tea). I miss my family and Philippines’ beautiful places. I would like to travel around the islands of the Philippines, but for the time being I can only go back home for one month per year due to work. What has motivated you to write your blog Luckily Lenny? Give us some useful tips that soon-to-expatriates in Qatar will benefit from. Do a wide research about Qatar’s labour laws. Check the company’s profile if you have been hired already. 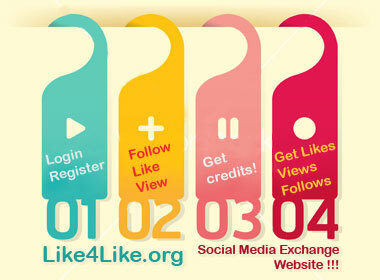 Try to join expat Facebook communities. Remember that nothing comes easy. If you had to advise an expat on five items to bring with them in Qatar, which would that be? All legal documents pertaining your education, marriage, work, and driving licenses, your favorite food (that excludes pork), your trusted medicine brands, clothes (conservatives ones for females), and your laptop and gadgets. How Many Filipinos in Qatar? NEXT POST Next post: Only For EXPATS! THIS is HOW your END OF SERVICE (Gratuity) Calculated by Your Employer!